The ADM Board provides certain benefits to those receiving program services. To find more information, see the Member Benefit Plan Information brochure. The ADM Board HIPAA Notice is available here. What if I am not happy with my service? Network providers try to ensure that you are well served, but sometimes you or your family may feel that your needs and concerns are not being addressed properly. Here are the Client Rights and Grievance Procedures for mental health and addiction services. PROVIDERS: SFY 2020 funding information has been distributed. To assist in completing the Application, we have updated our "Frequently Asked Questions" which are now available here. Please submit any additional questions as directed in the application documentation. We will update the FAQs as need arises. Thank you. The ADM Crisis Center offers a 24-hour Detox Unit for addiction and detoxification services in the heart of Akron, acts as Central Assessment for ADM services across Summit County, and provides a Drop-In Center. Akron–Urban Minority Alcoholism & Drug Abuse Outreach Program (UMADAOP), Inc. Since 1970, IBH has helped more than 16,000 people recover from alcohol and drug addiction. Located in Akron, Ohio where Alcoholics Anonymous was founded, IBH offers persons afflicted with alcohol and drug addiction the opportunity to restore hope and gain skills for a lifetime of sobriety. Vantage Aging has served Summit County for over 35 years and provides outpatient and intensive outpatient treatment, recovery support services, 12 step meetings, peer mentoring and prevention services to adults over age 50 and persons with disabilities. Clients served are mostly low-income, primarily Caucasian and African-American and include persons with physical disabilities, multiple acute and chronic health problems, and co-occurring mental health disorders. All clients receive a complete health assessment from a registered nurse to identify health issues that need addressed and/or referrals to physicians or other medical providers. Minority Behavioral Health Group (MBHG) is incorporated as a private non-profit faith-based organization under the name of Akron Community Development Association. MBHG provides primarily school based mental health assessments, behavioral health counseling and therapy and community psychiatric support services. North Coast Community Homes (NCCH) develops and maintains safe, comfortable and affordable housing of high quality for individuals with developmental disabilities, mental illness and other disabilities. Founded in 1981, Oriana House is a nationally renowned community corrections and chemical dependency treatment agency. We believe alcoholism and chemical dependency are diseases that require an individual's continuous commitment to recovery over the course of his or her life. Our programming sends individuals on a multi-step journey to rehabilitation through their own admission of a problem, abstinence, avoidance of relapse, and a daily dedication to recovery. Portage Path Behavioral Health (PPBH) is a non-profit agency founded in 1970. Their primary place of business is in Akron, with two other outpatient locations in Barberton and Cuyahoga Falls. They provide crisis services on behalf of the ADM network with Psychiatric Emergency Services (PES) and the Crisis Stabilization Unit (CSU) housed at the ADM Crisis Center in Akron. Provides 24-hour adult mental health crisis services. The Psycho-Diagnostic Clinic is a certified forensic center funded by the Office of Forensic Services of the Ohio Department of Mental Health and Addiction Services, the ADM Board and the Summit County General Fund. It serves the Common Pleas Courts (Criminal Division) of Summit and surrounding counties. The Court is the Clinic’s primary client. The clinic also provides evaluation and consultation services to the Municipal Courts of Summit County and the Summit County Domestic Relations Court through funds made available by the ADM Board. The Clinic does not provide treatment. Shelter Care is a residential treatment program for children between the ages of 6 and 18 who manifest emotional, behavioral, or family adjustment problems. Located in northeastern Ohio, Shelter Care provides a continuum of residential care, from short-term crisis intervention, to intermediate or respite care, as well as long term care in route to independent living. 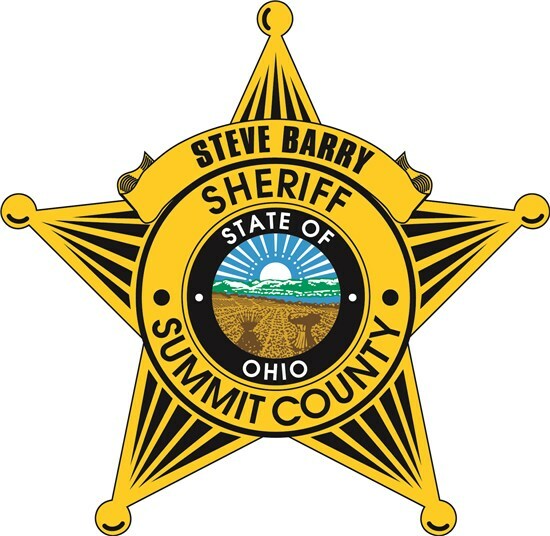 Summit County Community Partnership’s mission is to facilitate coalitions of community resources in order to prevent alcohol and other drug abuse in Summit County. They use science-based prevention techniques, information, and activities in an attempt to infuse them into every community system.